Most of the obese people have insecurities about their physical appearance. But, many of us doesn’t know that there is another category of people who are equally insecure about their looks. No one wants to have the obese body or skinny body. But, achieving a perfect body is not an easy task, neither an impossible task too. The only thing you need is strong determination and the little patience. Check the list of Foods to Gain Weight naturally in a short period. There are many healthy ways to improve the mass of the body. Of them depending on the Healthy foods to gain weight and muscle is the best way. The word healthy weight loss is stressed because if you try to improve your weight with some filthy methods it may cause severe damage to your health. So, To stay healthy and put on some weight one should follow only reliable and best methods. Learn what are the best Foods to Gain Weight in a healthy way and put them in practice. Many of the enthusiastic underweight individuals include various oil filled snacks into their diet to gain weight. But, this is a wrong practice. Depending on unhealthy snacks may bring about imbalances in your health. So, follow some best diet plan for weight gain which consists of healthy fats. Here are some best calorie rich foods which are healthy. So, follow these easy ways to gain weight naturally and look fit with more muscle instead of fat. Here are the top 10 weight gaining foods which will help in weight gain. Most of the people who are eager to know how to gain weight faster will rely on the supplements which may not be safe. But, It is not wise to spoil your health with your hands. So, when you strongly decide to gain weight fast depend on the healthy foods instead of the food supplements for weight gain. A gram of fat provides nine calories whereas each gram of carbohydrate and protein provide 4 grams each. 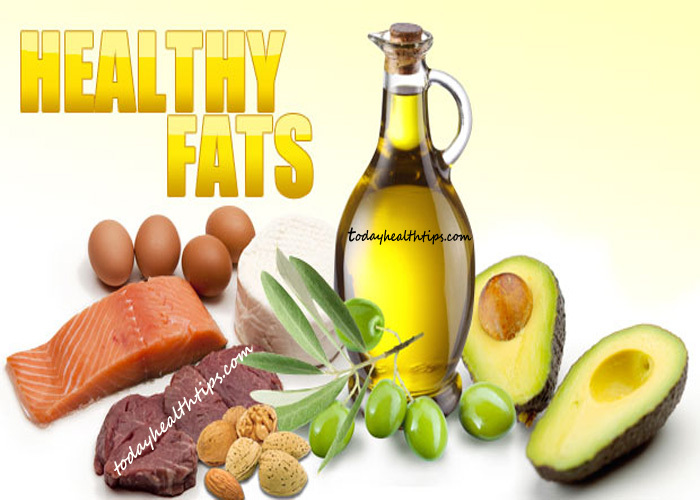 So, include healthy fats into your diet plan to gain weight. For, that add roasted chicken and vegetables to your salads which are made from plant-based oils. Depend on the high-calorie food to gain weight faster and in a natural way. So, check that your diet comprises of more amounts of Unsaturated fatty acids than saturated fats which are unhealthy. Start your day with full cream milk which possesses good fats that are essential for your body. Add pure ghee (preferably homemade) to your routine. Start using butter to toast your sandwich bread. Also, you can have yogurt in your snacks time. So, Include All kinds of dairy in your routine to increase weight in a healthy way. Milk, Butter, Ghee, Paneer and all other dairy products are rich in both protein content and healthy fats. So, it will give you a balance of nutrition. Some of the individuals may have lactose allergies. So, such people can look upto other alternative Fatty Foods to Gain Weight faster. Who doesn’t love the yummy, delicious taste of the peanut butter? No one right! Not just tasty it is also a healthy food which helps in muscle building. Besides all these, peanut butter is very economical, and you can also prepare this at home. It is a rich source of calories, vitamins, minerals. Peanut butter is extremely healthy even it have the high amount of calories. It is an excellent source of protein, which helps in building and repairing the muscles. So, spread it on your early slice of bread and have a super breakfast. You can also have this spread peanut butter with banana, apples, Oatmeal, Crackers, Raisins, and even Pasta. We all knew that eggs are the primary sources of healthy proteins that are required for our body. But, this is all about egg whites. The egg yolk is loaded with Unsaturated fats and HDL cholesterol. But, if you boil this egg it will help in weight loss rather than weight gain. So, instead of cooking the egg, you can prefer omelets. Add two egg omelets to your bread slices. 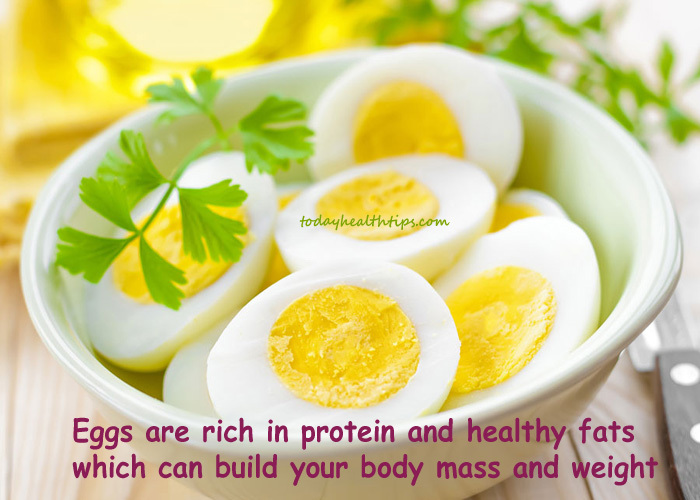 Eggs are very healthy as they are rich in essential amino acids which your body can not synthesize on its own. So, you can have two eggs a day to bring out the nutrient balance in your body. Eggs, especially egg whites are full of muscle-building protein, so they are idle for breakfast. Each egg will contain four to six grams of protein along with vitamin B12. The vitamin B12 is important the functioning of brain blood formation. Each Egg can provide about 6 g of protein along with 71 calories. So, Scrambled eggs are perfect for you to gain weight as they make a nutrient-dense, calorie-rich breakfast. Additionally, you can add Olive oil for cooking these eggs. Stir a raw egg into your favorite soup or add them to stir-fries to increase the amount of the calories. Don’t get any ideas; you can’t stuff all the crisps into your stomach. As said earlier, you should gain weight only in a healthy way. The French fries and potato chips are not at all healthy. They are loaded with massive amounts of saturated fatty acids and may also contain Trans fat based on the process of making. So, they are unhealthy which may cause blocks in arteries. So, avoid deep fries and instead, have some boiled potatoes or baked potatoes. Sweet potatoes are also rich in starch and glucose. So, they can also add up calories and helps you in weight gain process. If you prepare a weight gain foods list, then the potatoes will occupy the first place. They are also one of the delicious foods to eat to gain weight fast. 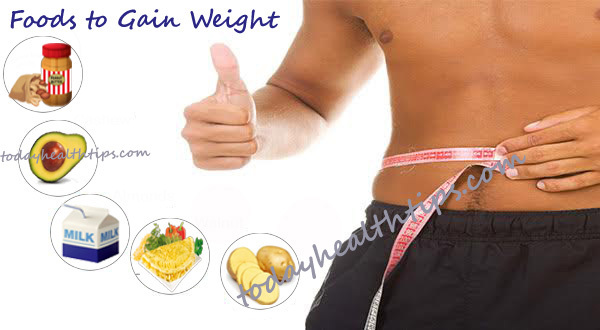 If How to gain weight easily is your question then here is the good food for weight gain and muscle building. Undoubtedly it is everyone’s most favorite food. Many of the physicians recommend dark chocolate which can improve your heart health. But, it not only helps your energy levels but also help in healthy weight gain. Dark chocolate possesses good amounts of antioxidants which can combat various cancers. So, snack on chocolate and also add chocolate milkshake in your breakfast to put on some weight in a faster way. So, these are the fast weight gain foods which you can include in the regular diet. For a healthy weight gain, one can eat a handful of nuts every day. Even consuming more amounts is also safe. The dry fruits are rich in healthy fats. So, add them to your regular milkshakes, Flavoured Yoghurt, or you can also consume them as such in brunch or snacks. It is better to have mixed nuts instead of depending on one kind of Dry fruits. Of all the naturally obtaining Natural Foods to Gain Weight these dry fruits are little economical, but effective too. Jack Fruit is a tropical fruit which is mostly grown in South Asian regions. 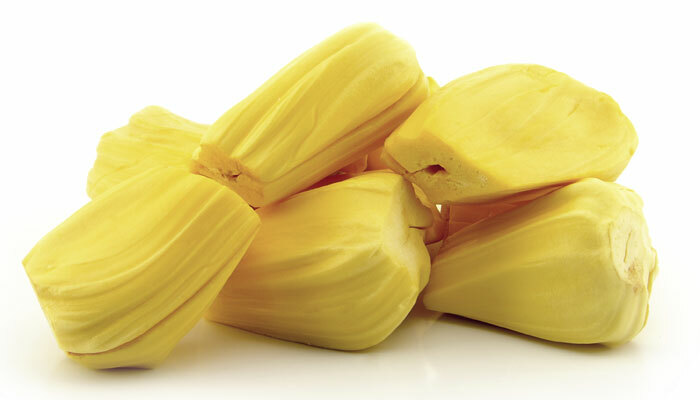 The Ripe jackfruit is very delicious and tender. So, the high amount of natural sugars makes weight gain not only possible but a very easy task! The Arils of the jackfruit contain sweet flesh with a seed within. So, make sure that you add this sweet fruit to your breakfast or dinner at least four times a week. Of all the fruits, Jackfruit is the best Foods to gain weight. So, if you are seriously looking for some fast weight gain tips then include this in your diet. Avocados are highly nutritious food which contains healthy monosaturated fats and many minerals. These are rich in B, C, E and K vitamins. So, They are very healthy which provides you complete nutrition besides weight gain. Many studies suggest that choosing nutrient-dense foods, like avocados, rather than junk foods will help you in weight gain process. Junk foods may give you fast results but they are are not healthy. Some of the high fried junk foods may have plenty of carcinogens. Not just unhealthy, they possess many risk factors which may lead to type-2 diabetes and heart disease due to the large amounts of sugar, saturated fat and salt typically in this type of food. So, these are the fast weight gaining foods which help you to increase weight naturally. It is imperative to follow a proper diet for weight gain. It takes some time to gain weight in a natural way. Do not depend on supplements or other artificial nutrition shakes. They may give you an instant result, but the results are not for long term. Follow this mass gaining diet which is economical and easy. These are the top 10 Foods to Gain Weight will bring out the difference in your body muscle also which makes you look perfect.